Author: McPherson, James M. Set In . . .
North America, USA, Kentucky, Illinois, Washington D.C. Description: Best-selling author James M. McPherson follows the son of Thomas Lincoln and Nancy Hanks from his early years in Kentucky, Indiana, and Illinois, to his highly successful law career, his marriage to Mary Todd, and his one term in Congress. We witness his leadership of the Republican anti-slavery movement, his famous debates with Stephen A. Douglas (a long acquaintance and former rival for the hand of Mary Todd), and his emergence as a candidate for president in 1860. 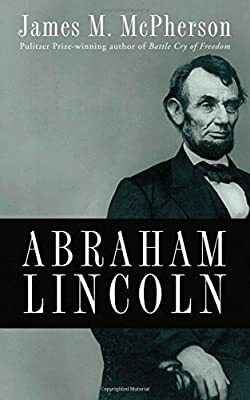 Following Lincoln's election to the presidency, McPherson describes his masterful role as Commander in Chief during the Civil War, the writing of the Emancipation Proclamation, and his assassination by John Wilkes Booth. The book also discusses his lasting legacy and why he remains a quintessential American hero two hundred years after his birth, while an annotated bibliography permits easy access to further scholarship. With his ideal short account of Lincoln, McPherson provides a compelling biography of a man of humble origins who preserved our nation during its greatest catastrophe and ended the scourge of slavery.